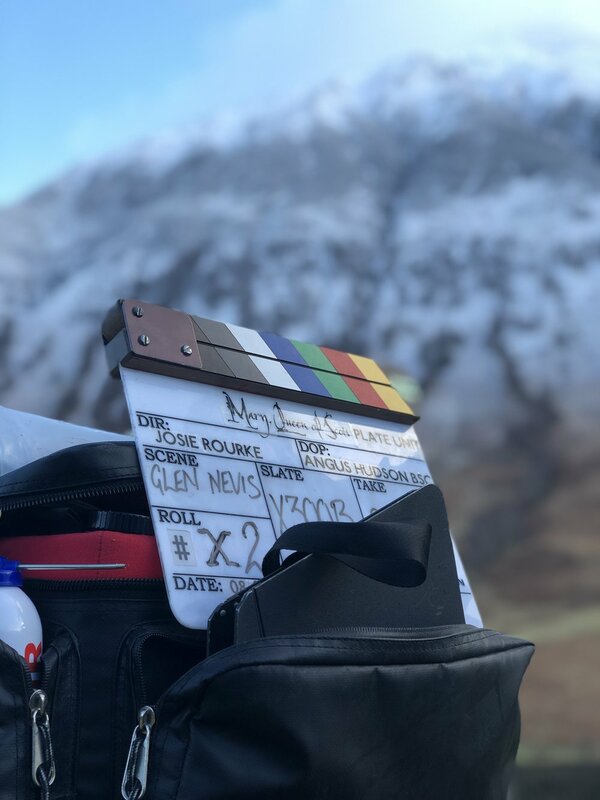 I spent a week travelling around with Angus Hudson BSC DOP, Erin Murphy (directors assistant), Julia Green (sound), and Nick Everett (Focus puller and DIT) as we filmed plate shots for Mary Queen of Scots that we shot earlier in the year. It's always a chance when you come to take winter shots for the film in the middle of winter because sometimes it might have all melted for the week. Scotland did not disappoint us and the weather was sunny, snowy, cloudy, clear everything really. We even got blizzards at sea level and it looked great.